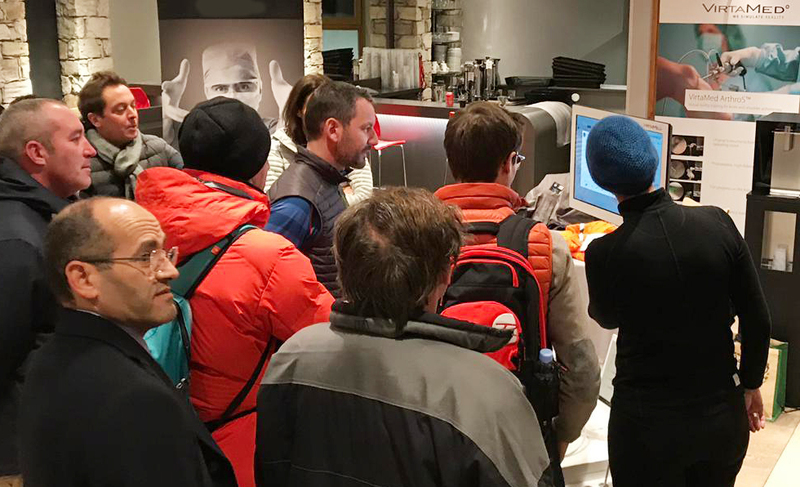 At the top of the French Alps, shoulder experts gathered to set standards in shoulder arthroscopy. 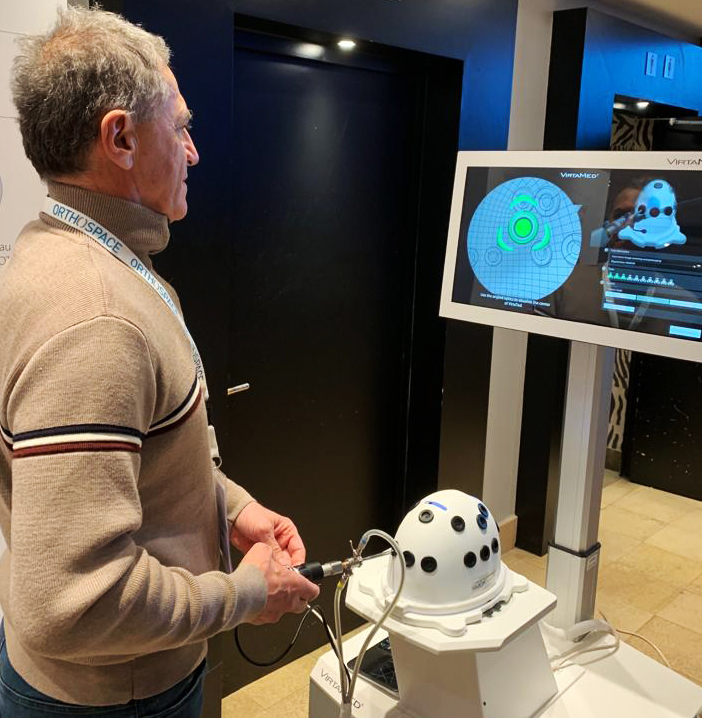 Val d'Isère hosted the 11th Advanced Course on Shoulder Arthroscopy, and VirtaMed's ArthroS™ was constantly in use by experts attending the course to explore the outstanding teaching possibilities that a simulator offers. For 80% of experts, this was their first experience with simulator training, and 70% would recommend more than 20 hours of training during the first year of residency alone. 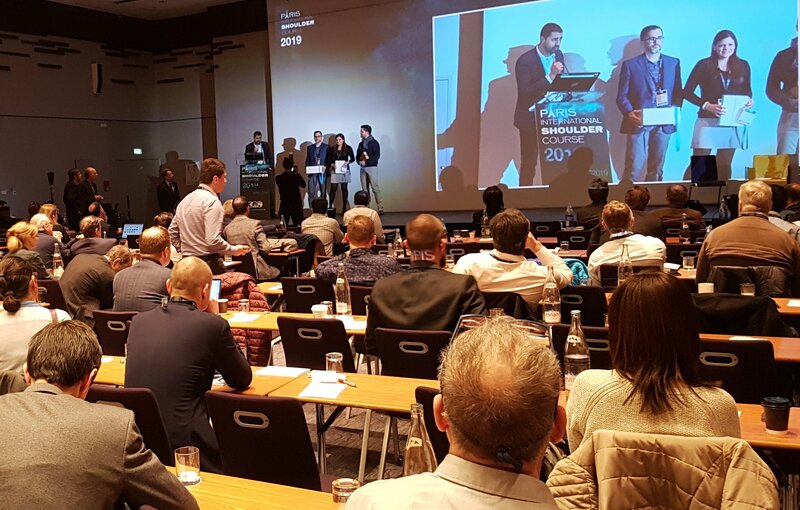 Martina Vitz, PhD, Head of Training & Education at VirtaMed, commented, "It is our honor to bring our simulators before these experts and let them be validated first-hand." Thanks to the international faculty led by course chairmen Lionel Neyton, Alex Lädermann and Philippe Collin that they offered us the opportunity to collect expert data on the ArthroS™ Shoulder, as the shoulder course of Val d'Isère is known globally for its high standard of lectures. Dr. Laurent Lafosse, Chairman of Alps Surgery Institute, using the ArthroS™ FAST before moving on to the ArthroS™ Shoulder.